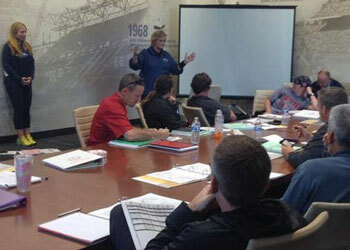 Earn CEUs with the NFCA!! 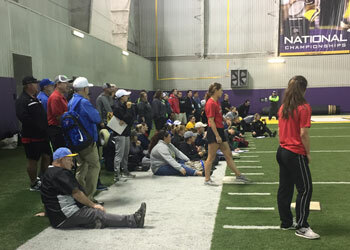 Your attendance at the 2018 NFCA National Convention, any of our 2018 NFCC courses, or any of our 2018-2019 Coaches Clinics earn two (2) continuing education credits per event through Texas Woman’s University. If you attended more than one of our educational offerings, you can earn additional CEU’s, up to 16 total continuing education units!! Click here: “Register for NFCA CEUs”. Read the explanatory paragraph and click “Add To Cart”. Complete the form and double-check your email address. Verify your submission & click “Continue To Check Out”. Submit payment of $50.00 per 2 CEUs. Certificates will sent via email by March 15, 2019. If you have any questions please email Education@nfca.org. After you complete two NFCC courses you will receive a one star award and be honored as a One Star Master Coach. The process continues with the completion of every two new courses until you have taken all eight of our NFCC courses. At that time you will receive a plaque being honored as a FOUR STAR MASTER COACH. Many coaches repeat courses for different perspectives on the content and some choose to not complete all eight courses, and that is just fine. However, we do want you to know that if you complete all NFCC courses the NFCA believes you deserve special recognition. Master’s Degree Program in Kinesiology with an Emphasis in Coaching. The Department of Kinesiology at Texas Woman’s University in partnership with the National Fastpitch Coaches Association is offering a Master’s of Science Degree in Kinesiology with an emphasis in coaching. To accommodate the challenging schedule of the working coach, the entire program is taught online. The master’s program is a 36-hour, non-thesis option curriculum emphasizing the development of skills, techniques and concepts necessary to become a master coach.